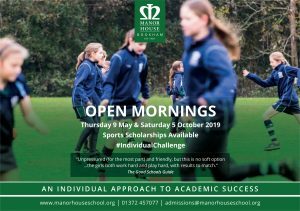 Manor House School is a selective independent (private) day school for girls aged 4-16 years, with a co-educational nursery, located in the village of Bookham in Surrey. The school’s location benefits from easy access to rail connections and provides a school minibus service to local areas. We are members of the Girls’ Schools Association (GSA). Our school site includes a purpose-built Nursery (for boys and girls aged 2-4), our Prep School (Reception Class to Year 6) and Senior School (Years 7-11). 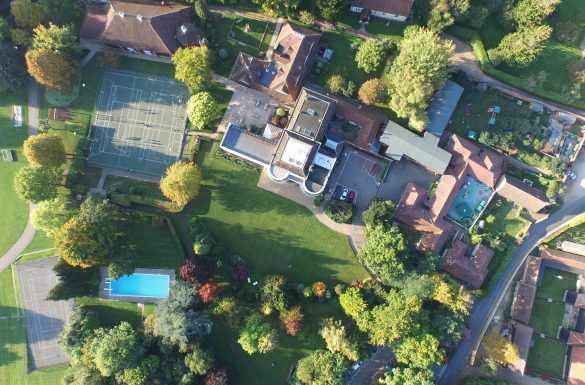 Nestled in seventeen acres of magical gardens, woodlands and sports fields, Manor House School is a very special place for children to learn and grow. The magnificent country house is brought alive by the creative and positive energy of the girls who choose to learn here. The School was originally founded in 1920 in Sidmouth, Devon by Miss Green and Miss Wheeler and moved to its’ current location in 1937 where it has flourished ever since. Our vision is to ensure that our girls leave Manor House School with the confidence to pursue their dreams and ambitions, with qualities that ensure integrity and kindness and with experiences that foster a better understanding of democratic ideals and responsible citizenship. GCSE and Key stage 2 results are excellent and our staff are fully committed to challenge and support every girl academically, whilst ensuring that she is happy and participates and excels in a range of enrichment activities. In short, Manor House School aims to be a caring and nurturing educational environment where girls develop a love of learning and become confident, creative and resourceful citizens. The positive and nurturing environment fosters a happy and healthy outlook and the many unforgettable experiences help to forge character and ensure individual challenge.